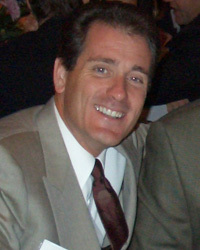 When Gerry Rogers began installing windows in 1986, he wasn't planning on acquiring the company. But a twist of fate made that option unexpectedly possible. With the blind ambition and enthusiasm of a young, naive entrepreneur, he made one of the riskiest moves in his life. At 24 years old, Gerry admits he didn't have the conventional wisdom to how risky this was. Even so, the replacement window business grabbed him hook, line, and sinker. You see, Gerry had proven his character and values to Jim Powell, the very first customer who took a chance on him. Jim believed Gerry would live up to his promise of doing whatever it took to satisfy him. "I just told him the truth," Gerry says. "I told him I would do the work right… and Jim's heart went out to us, and he gave me the chance to make it right. That's the feeling I want with every customer." The day he made that promise to Jim Powell, Gerry realized how good it felt to be able to do what he said he was going to do. 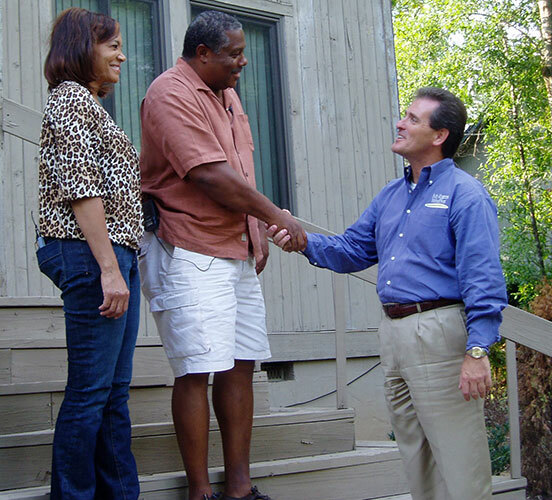 He grew more determined than ever to help homeowners with their window purchases and make a difference by doing it right. During the next few years, Gerry devoted every waking minute to overcoming the challenges of starting and growing a business. He took two moonlighting jobs (delivering newspapers in the morning and pizzas at night) and enlisted the strength and support of his family to get the window business on its feet. His brothers and sisters came to work for him, visiting homeowners and calling prospects on the telephone. Finally, his perseverance began to pay off. Customers noticed Gerry's commitment to their satisfaction, and Gerry understood how important it was for customers to believe his commitment, because he had witnessed first-hand the dubious practices of other window companies. He then realized that people wanted a tangible, shopping experience – a place they could go to see actual, life-size windows. So, he opened a small window showroom, set up operations, and continued to work hard to ensure complete and unconditional customer satisfaction. By 1995 Gerry changed the company's name to Mr. Rogers Windows and became “your neighborhood window replacement guy.” He continued providing what any friend, neighbor or family member would – his sincere help and a commitment to do the right thing. You know how sometimes it feels like everything just falls into place? Well, the business model clicked, and Gerry had his formula for success. Over the next several years, Mr. Rogers Windows achieved double-digit growth and the company expanded. True to his entrepreneurial spirit, Gerry decided it was time to invest in property on which he could develop his own building from the ground up. As luck - and hard work - would have it, Gerry found land with enough space to manage his growing fleet of installation vehicles and inventory (instead of having to use public storage), struck a favorable real estate deal, hired an architect and was set to take the next step forward. The business was thriving, Mr. Rogers Windows’ reputation was well respected and in May 2000 the new facility opened. Managing inventory and operating a showroom and sales business from a single neighborhood center proved not to be the ideal, long-term solution, especially when his installation vehicles were taking over the street corner. Gerry was also ready to execute another part of his vision. After 15 years honing a series of predictable, trainable, repeatable processes for success in every area of his window and door business – from sales and administration to installation to service – Gerry was primed to share the information. He needed a venue to promote a more reliable, ethical home improvement industry as well as to train his employees and associates for future expansion. "We built a team of good people, we carry the right products, and I still lead them to do the right thing. I still get that satisfied feeling in my heart and so does our whole team," says Gerry. Mr. Rogers Windows created a nonprofit foundation is dedicated to working with children, families, and communities to provide needed support to reach their full potential. By undertaking causes like poverty, injustice, and material needs, the Mr. Rogers Foundation works to improve our human and planetary condition. Specific areas of assistance have included education, healthcare, housing, environmental concerns, at-risk youth, military veterans, emergency response efforts and faith-based organizations. Mr. Rogers dreams of growing the Foundation's endowment to over $20 million, creating an outlet for his profound sense of responsibility to the communities we serve, the world, and the legacy he hopes to leave behind. As well as numerous religious and human welfare organizations, or those that tackle the causes of poverty and injustice throughout the world. Hi, there. I'm Mr. Rogers. You know, at Mr. Rogers Windows, there are a lot of good things we do. We provide a wonderful service. We build relationships with our customers. 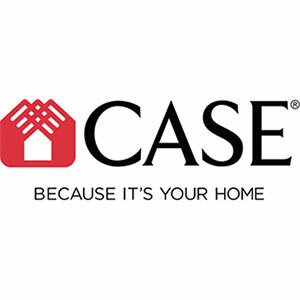 We take care of their windows and doors. And if we do our job right, we make a fair, respectful profit. But I think we're called to do more than that with our people resources, our environmental resources, and our financial resources. After all the blessings we've received, to just sit on all of that and not give back would be a waste — a waste of over 20 years of business. Because it's not about the money, it's what you do with the money that matters. That's why part of our mission and values is to use our talents to have a positive impact in the world. It can be as simple as somebody that comes into one of our showrooms looking for directions. They're not buying windows, but we have an opportunity to make a positive impact on them by helping them. The Art Gallery — A community project to recycle old wood windows retrieved from job sites by our personnel which we then donate to high school art classes. The program educates students about the importance of finding creative ways to recycle, and the importance of energy and resource conservation. It also supports local high school art programs. Faith First Educational Assistance Corporation — An organization that provides scholarship assistance to parents for the educational needs of children, works to provide the opportunity for parents to have a choice about where their children go to school, and informs parents about public educational policy. Mr. Rogers is a founding anchor, board member, and advisory member of the Faith First corporation, as well as a regular financial donor. Along with Renewal by Andersen®’s Environmental Accreditations, Mr. Rogers works hard to be an active member of the environmentally concerned community. He aims to make his company as environmentally friendly as possible with the promotion of recycling and other green-friendly and sustainability practices in local communities and the remodeling industry at large. Because of his efforts, Mr. Rogers has earned respected certifications, industry recognition, and awards for himself and his business. Thanks to the success of his company, Gerry had an opportunity to help address the educational, financial, and basic needs of children in local communities and across the globe through scholarship funds, volunteerism, and humanitarian support. The National Association of the Remodeling Industry, whose purpose is to advance and promote professionalism, to benefit the consumer and the industry's overall products and services. Members pledge to uphold the highest standards of honesty, integrity and responsibility in the way they run their businesses. 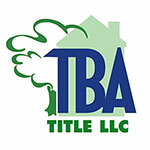 Tidewater Builders Association, a non-profit trade association dedicated to improving the prevailing social attitude towards quality housing for people of all incomes, promoting professionalism among its members, and supporting the Tidewater community through charitable projects and contributions. Better Business Bureau, an objective, unbiased source to inform consumers about the trustworthiness, integrity, and ethics of a business. The Better Business Bureau is your best resource for getting the important information, background, and records on any company you consider letting into your home and spending your hard-earned money with. Mr. Rogers Windows is proud to be one of the few remodeling companies holding a perfect record with the Better Business Bureau over the last standard reporting period. 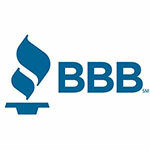 A member since 1986, and an accredited member since 1988, Mr. Rogers Windows has been in excellent standing with the Better Business Bureau for more than 25 years. 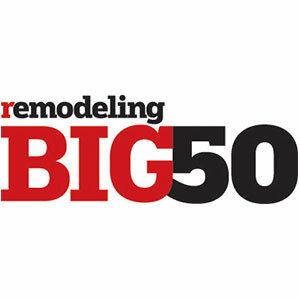 Remodeling Magazine's annual award that goes to only 50 companies in the U.S. each year. 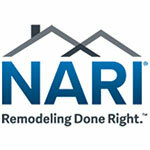 The award recognizes those who are setting the standard in the remodeling industry for professionalism, integrity, and business management. The Big50 are leaders in the community, offering something others can learn from and use to grow their own businesses. Mr. Rogers Windows was inducted into the Big50 in 2005. 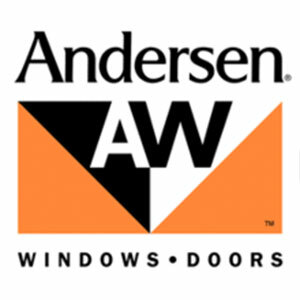 Andersen® Windows was founded in 1903. While other companies follow, Andersen® leads. In recent decades, Andersen® has worked with the U.S. government and environmental organizations to lead the way in eco-friendly windows. Third parties agree that Andersen® delivers environmentally friendly products of the highest quality. 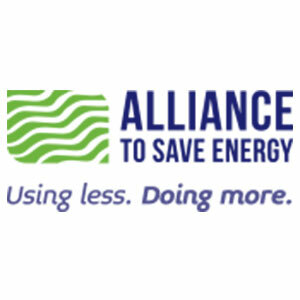 A non-profit organization, the Alliance works to provide a brighter future and a broader market for energy-efficient products. Andersen® has worked with the Alliance to strengthen the economy and environment. A joint program of the US Environmental Protection Agency and the Department of Energy, Energy Star provides consumers with information about energy-efficient products. In 2007 alone, Americans who used Energy Star certified products saved 16 billion dollars in utility bills. 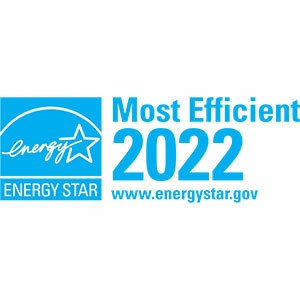 All Andersen® windows and doors meet or exceed Energy Star standards. 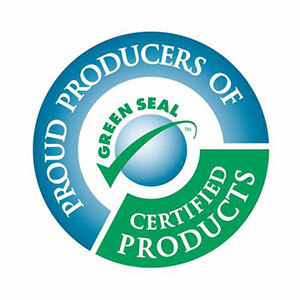 Green Seal only awards their certification to products with the highest environmental integrity, having top energy-efficiency ratings and being manufactured with minimal environmental impact. Andersen® windows are the only windows in America that have been awarded the prestigious Green Seal. 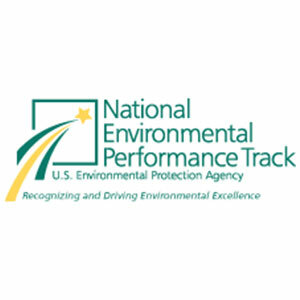 Businesses working with the National Environmental Performance Track have saved enough water to meet the needs of 125,000 homes for a year, reduced greenhouse emissions equivalent to the annual emissions of 57,000 cars, and much more. As a charter member, Andersen® was instrumental in organizing the NEPT. 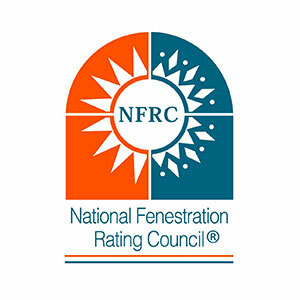 For over 30 years the National Fenestration Ratings Council has worked tirelessly to provide consumers with accurate, objective ratings on the energy performance of windows, doors, and skylights.